Donations are still welcome to our Theatre Endowment! Our Endowment successfully reached the $10 million goal ahead of schedule in May of 2014. We are grateful to the Maltz Family Foundation for making this dream a reality and securing the future of the Theatre in perpetuity. 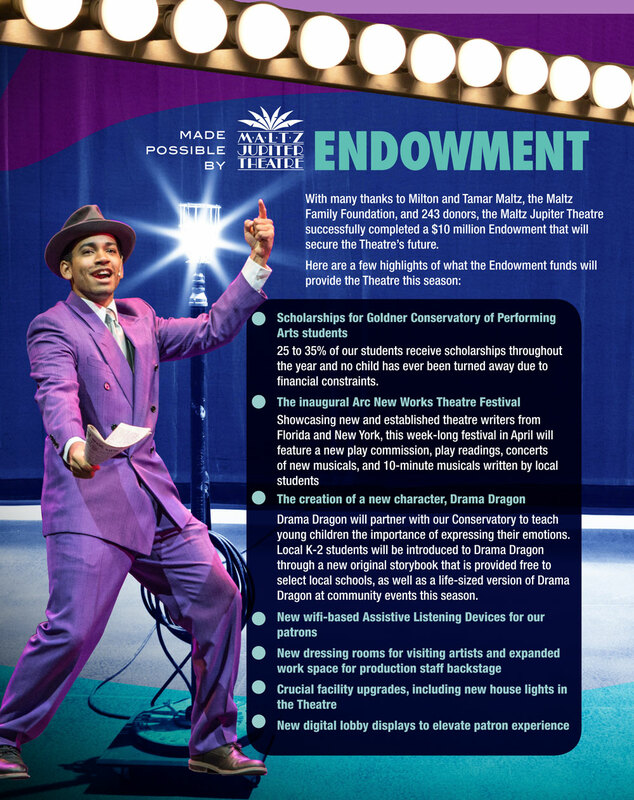 A tax-deductible Endowment donation contributes to the Theatre’s financial security.